In the kingdom of Mac browsers, there are two names that rule the land: Safari – with its speed and style; and Firefox – with its flexibility of functionalities. There are other browsers of course, with their loyal users if I may add; but these two share the biggest share of the pie. 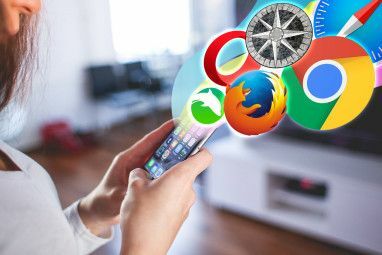 Being the native Mac OS X browser, Safari – which should have been a no brainer choice for Mac users – faces a fierce challenge from Firefox – the browser that can be anything you need it to be. Add-ons are Firefox’s ultimate weapon. But Firefox is not the only browser that can add functionalities using add-ons. The Safari browser also has plugins to expand its ability. While there are far less Safari browser plugins than there are for Firefox, not everybody needs everything. So for anybody who are still deciding which one of the two should be the main browser, maybe these list of Safari browser plugins can help you choose sides. 1. Glims is on top of my list of all other Safari plugins. It has expanded the search box functionality of Safari plus some other bonuses such as: re-opening closed tabs, automatically re-opening the tabs from the last session and full-screen browsing. 2. SafariStand also adds a few helpful features to Safari such as: Stand Bar (for quick access to bookmarks), history, Stand Search with Spotlight support, an Action Menu, option to restore last workspace, a site alterations preference window with the option to put custom CSS layouts on specific sites, and syntax coloring in viewed source. Go to more detailed explanation here SafariStand - A Cool Safari Plugin You Should Install SafariStand - A Cool Safari Plugin You Should Install Read More . Please note that you need to install SIMBL 0.8.2 or later before you can use SafariStand. 3. [NO LONGER WORKS] Inquisitor beautifully extends the functionality of the search bar. 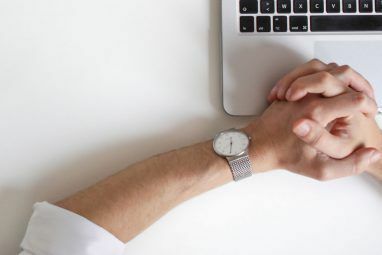 It auto-completes your search term, gives you search recommendations and lets you quickly see the results for your specified terms on another sites. If you need to have the powerful searchbar only without additional extra functions choose this one over Glims. Inquisitor also supports IE and Firefox. 4. CoolIris (Preview and PictLens) will transform Safari into a picture and movie viewer – in style. ‘Nuff said. We’ve covered CoolIris before, and it’s nice to know that this product is also working fine under Windows XP, Windows Vista, and Linux; and for other browsers like Firefox, IE 7 and IE 8, and Flock 2. Safari under Windows is not supported though. 5. Safari AdBlock and SafariBlock are the ultimate tools to block ads and provide cleaner browsing. Most web publishers would hate these two as parts of the publishers’ revenue come from advertising. But for users, blocking ads means less clutter and more browsing speed. 6. Click-to-flash – will prevent any flash content from automatically loading and will replace it with an empty grey box. Just click on the box to load the content. Anyone with a slow internet connection will find this webkit plugin indispensable. 7. Safari140 is the tool to tweet. This plugin will allow you to send direct tweets from Safari, auto filled with the current site while the long URL’s are shortened. 8. DeliciousSafari is self explanatory. This is the tool to create and use del.icio.us bookmark from Safari. 9. Greasekit is the comparable Firefox’s Greasemonkey in Safari. It gives users the scripting ability to change looks and add new functionality to their favorite sites. Greasekit is compatible with most Greasemonkey scripts. Just like SafariStand, Greasekit need SIMBL. 10. Firebug lite is the answered prayer for users who want to have Firebug ability – once Firefox exclusive – in other browsers. There are two ways to activate Firebug under non-Firefox browsers: insert the code in the site, or use the bookmarklet. This one is not exactly a plugin but it is the solution for those who said that the only reason he/she stays with Firefox is Firebug. 11. 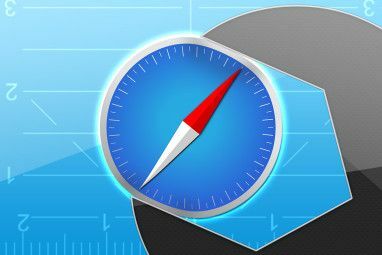 Pimp My Safari – is the place to go to find more Safari add-ons in the form of plugins or bookmarklets. Please note that not all of the plugins are free. This list is far from complete, but I think it’s a good start. So if you know (and use) other good Safari plugins, please share them using the comments below. Ah, thank you! Found those pesky plugins and the one's that do not work have been eliminated. Blessings! There may be some additional locations I'm not aware of, but those are the main ones. Also, a plug-in that is not 64-bit compatible will not load in Safari if Safari is running 64-bit. So having a 32-bit plug-in installed on your system should cause you no harm other than wasted disk space. What I mean is to erase all the files associated with Safari and reinstalling. Will that clear out all the plugins? I noticed that one of the plugins do not work in 64 bit mode. But that plugin does not show up. I want to ensure that the program is running as it was designed-64 bit. I like the other plugins. They seem very handy. By the way, thank you for your help. Unfortunately not. Most (I believe all) Safari plug-ins are located in folders outside of the Safari application. Could I just do a clean install of Safari? That means deleting the entire program and installing a new Safari from my Snow Leopard disk. DeliciousSafari comes with an Uninstaller. If you don't have the uninstaller anymore, you can download DeliciousSafari again. For the other plug-ins, you can try removing files from /Library/InputManagers, but that could affect plug-ins for other programs besides Safari. It's probably best to ask the author of each plug-in how to uninstall it. How do I uninstall the plugins once installed? I will be installing Snow Leopard very soon. I sure hope you redo this article shortly, to reflect what can be used with SL. I'm afraid to use anything from this article due to the comments I have read. Most of the rest are InputManager hacks, which are always in danger of breaking with even minor point releases of Safari, and which won't work at all in Snow Leopard, unless Safari is set to run in 32-bit mode. Over time, hopefully these developers will find alternate/better ways to implement their functionality. This would have been an excellent article if it were written several months ago. But, with Snow Leopard on the prowl, most of the best featured plugins are broken. I still think this is an excellent article. Bugs will be fixed in no time and everything will work out just fine. It would be more useful if your article had tested and mentioned which of these plugins was compatible with 10.4, 10.5, and 10.6. and Safari 4.0.3. Lots of users are experience crashing under Safari 4.0.3 with some of these, and it's always because it's not compatible. ClickToFlash is fine, as is the 1Password extension, so I know it's still possible to write Safari extensions for Snow Leopard. But I guess the InputManager hack method won't work for 64-bit apps in SL, so some of these extensions may die and others may take quite some time before they work again.